“Love empowers us to fulfill the law of the Anointed One as we carry each other’s troubles.” – Galatians 6:2 9 (TPT). A couple of days ago, I had someone tell me that they felt extremely led to inform me that I needed to talk about borrowed faith on this blog—in those exact terms too. So, considering that doesn’t happen very often, and that I try to be obedient to the Holy Spirit’s leading in regards to this blog (and you know, life in general) I decided to give this post that exact title. To clarify, when I use the term ‘borrowed faith’, I am not speaking in terms of salvation. Every person must make that decision for themselves and we cannot rely on someone else in our relationship and walk with God. We do however, all at some point, reach a time when we are struggling to have faith for our particular struggle or season. Seasons where all we can see is a tunnel of darkness with seemingly no clear end in sight. I have gone through seasons like this and I’m sure you have as well. They are only seasons, but when we are in them, they can seem to last a lifetime. That being said, in times like these, we can (hopefully) lean on those around us to get us through. Where we can ‘borrow’ the faith of others when we struggle to have faith in the midst of our own situation. I had a season like this when I was a new Christian, way back in Jr. High School, when I was dealing with some complicated situations within my family. Situations that felt nearly impossible to walk through at that point in time. I’ve also dealt with plenty of other smaller seasons where I felt lonely, confused, or anxious—where God surrounded me with people who have helped me get through. People who’s faith I could ‘borrow’ when the weight I was feeling felt like too much to carry on my own. However, sometimes, we are called to be this person for others. To have the kind of faith that someone can borrow when they’re in one of these seasons. As Christians, we are called to be sensitive to the needs of those around us, and be someone that others can turn to during these times. 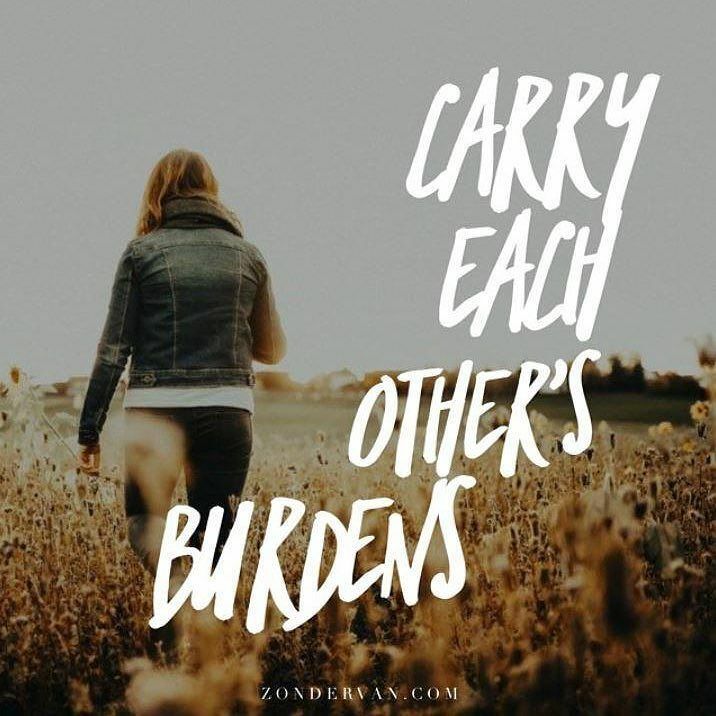 Someone that a friend could call up to share their problems with; someone who will pray for (or with) someone who’s struggling, and who reaches out to that classmate at school who is sitting alone at the lunch table nearby. Maybe you’re reading this today and thinking, “I’m the one who needs to borrow faith today”. If that’s you, than I want to encourage you to reach out to someone you can trust; whether it be a relative, a friend, a youth leader, or a pastor. I want to also encourage you to go to God directly. Get on your knees and just cry out to Him. He knows every detail of your situation no matter how hard it may be or how alone you may feel. And things will get better. It may not seem like it right now, but life has a way of turning around at the most unexpected times in the most unexpected ways. So keep holding on tightly to that rope – you never know where the next chapter might bring you. Or maybe as you’re reading this, someone comes to mind. A friend, or fellow student at your high school (or middle school, or college). A co-worker, or neighbor. Someone from church, or an extracurricular. Whoever it is, I want to challenge you to be intentional with this person this week. To let them “borrow your faith” so to speak. Be the person that you needed during a season like that. Tell them you’re praying for them, or offer to pray with them. Let them know Jesus loves them. Be a friend, and an ear that will listen. Jesus says in Matthew 25:40, “Truly I tell you, whatever you did for one of the least of these brothers and sisters of mine, you did for me.” And in John 13:35, we are told that we are to be known by our love. Also, if there’s anything that you’re dealing with, please leave a note in the comments section or DM me through my Instagram page! I’d love to let you ‘borrow my faith’ and pray with and for you guys! How about you? How can you be a voice of encouragement in your school and your sphere of influence this week? I’d love to hear about it in the comments section below! Happy Resurrection Sunday!✝️💗🙏🏻 “He isn’t here—he has risen victoriously,[a] just as he said! Come inside the tomb and see the place where our Lord was lying. [b] Then run and tell his disciples that he has risen from the dead! I give you his message: “I am going ahead of you in Galilee and you will see me there.” - Matthew 28:6-7 (TPT).